Today we spent the day celebrating my dad’s 65th birthday at the ballpark! The day was full of hot dogs and cake, and by the time dinner rolled around, I really didn’t feel like cooking. I knew what had to be done….breakfast for dinner day!! Even flipping pancakes sounded like too much work though, so I decided to break out this gem. 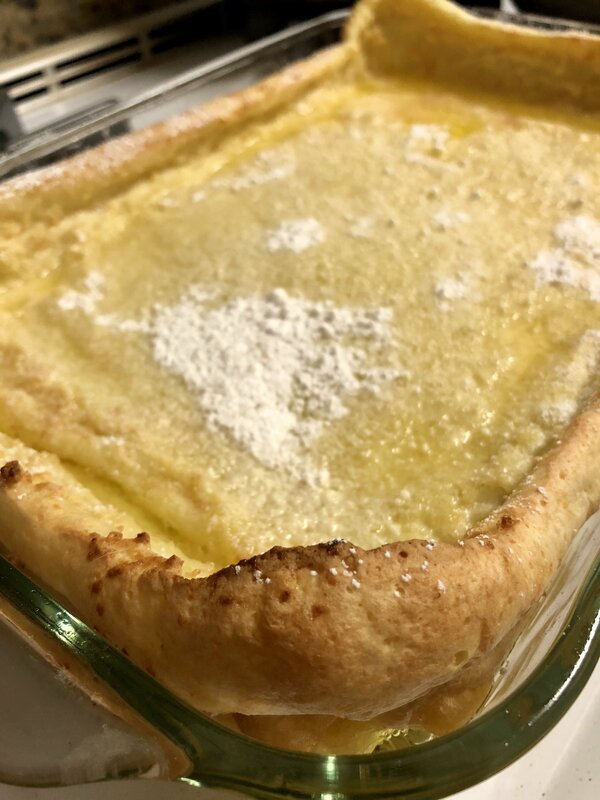 German Oven Pancakes are easy to make, deliciously buttery, and uniquely satisfying. 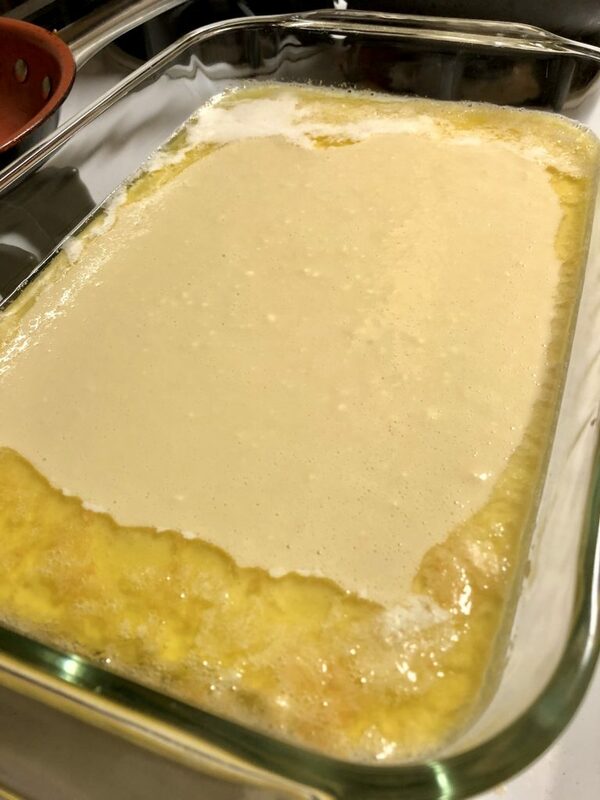 Put the butter in a 9 x 13 glass pan. 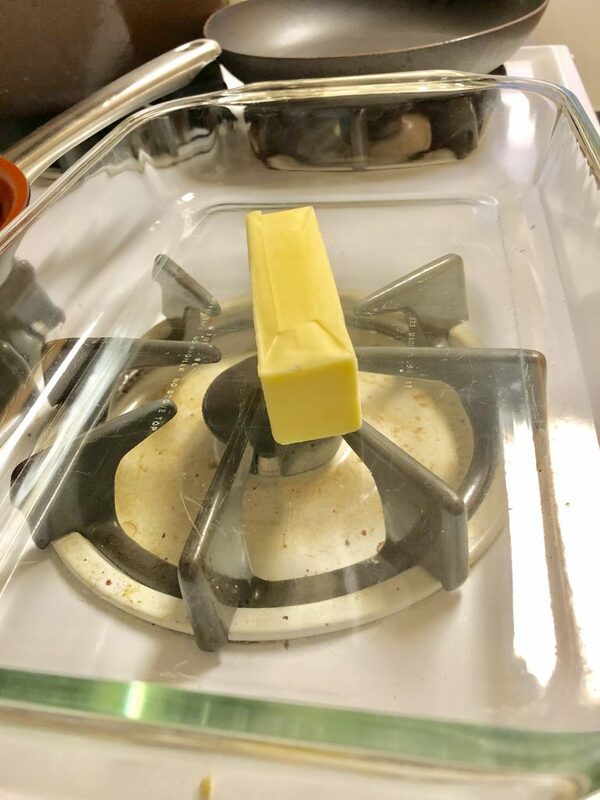 Place the pan into the oven to melt the butter. Keep an eye on it to avoid browning or burning. 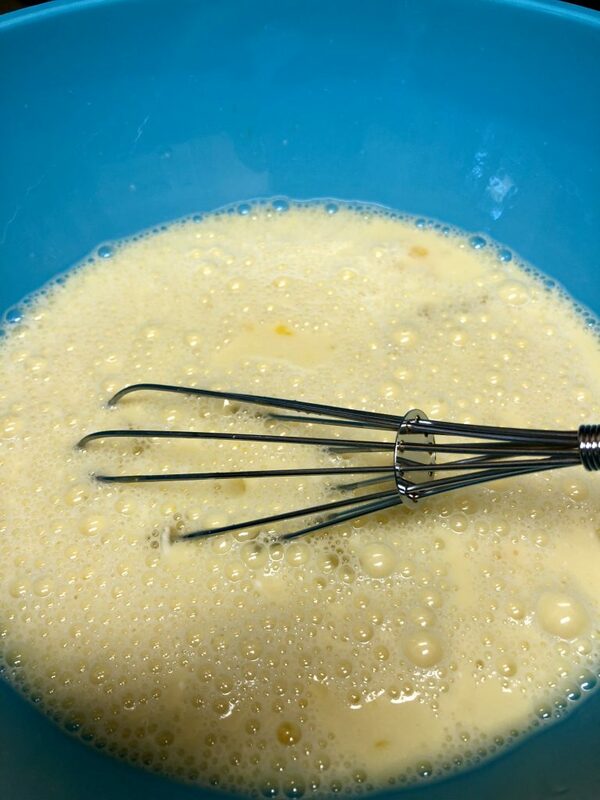 In a large bowl, whisk together the milk, eggs, vanilla, sugar, and salt until frothy. 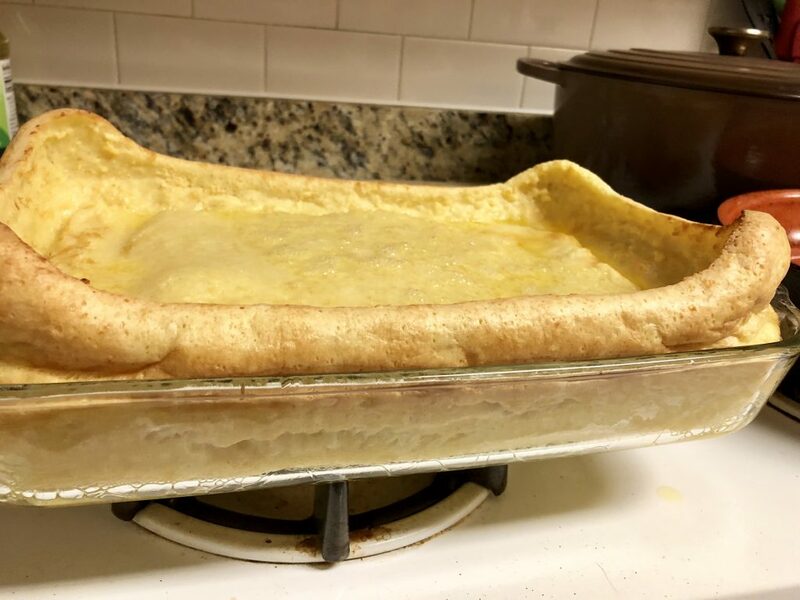 Bake for 25 – 35 minutes or until puffy and the center is set. Cool for 5 minutes, and sprinkle with confectioners sugar. 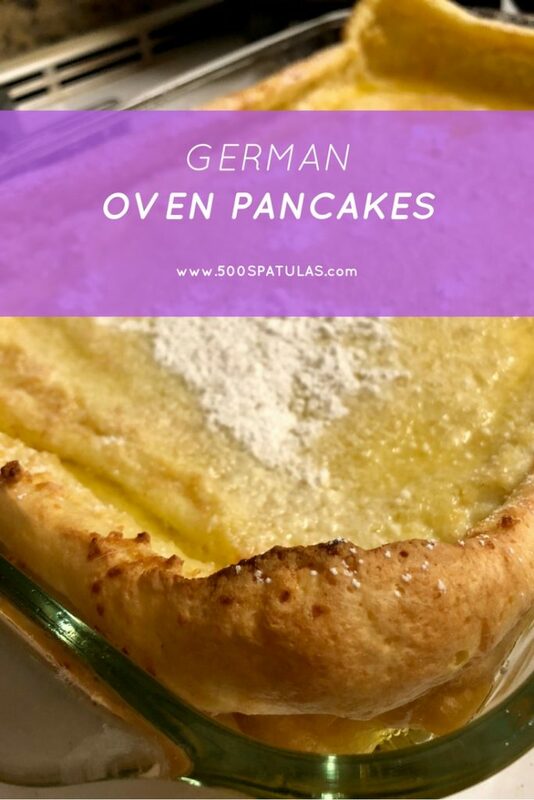 These German Oven Pancakes are sure to put a smile on your face! 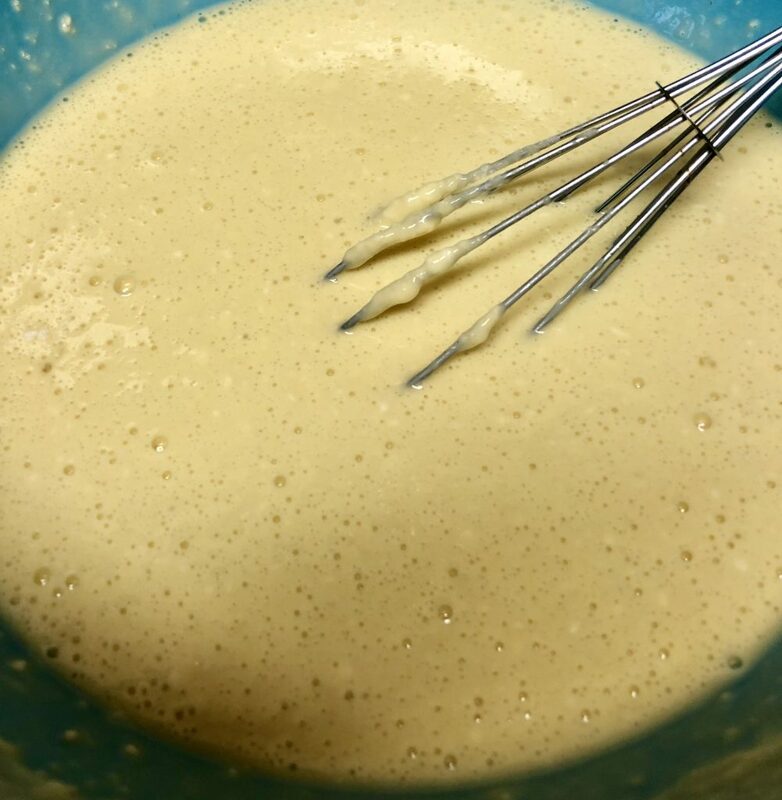 Carefully pour the batter into the prepared pan. 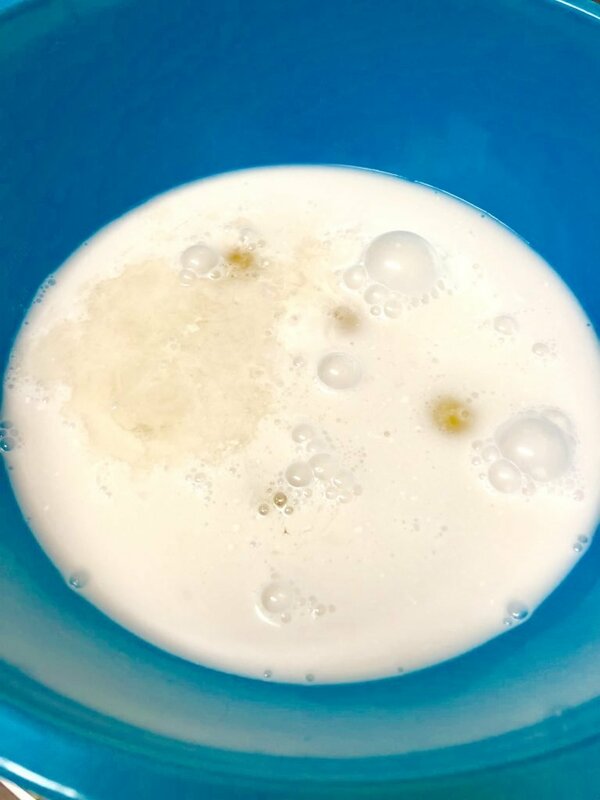 NOTE: Do not mix the butter in. Bake for 25 - 35 minutes or until puffy and the center is set. 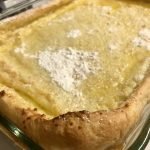 Cool for 5 minutes, and sprinkle with confectioners sugar.